A castle has been on the site since 1119. 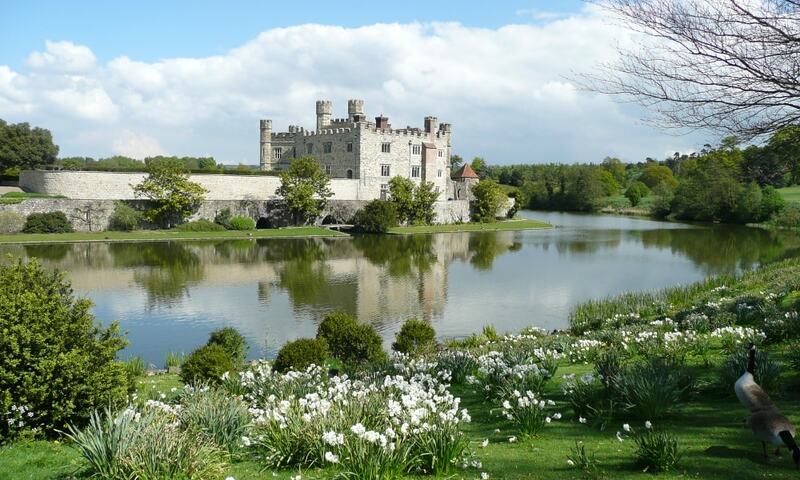 In the 13th century it came into the hands of King Edward I, for whom it became a favourite residence. In the 16th century, Henry VIII used it as a residence for his first wife, Catherine of Aragon. The castle today dates mostly from the 19th century and was built on the islands in a lake formed by the River Len to the east of the village of Leeds. It has been open to the public since 1976 and has remained as a popular tourist attraction since.